Paul Dellinger is a former newspaper reporter who writes science fiction and fantasy stories, many of which are collected in the book Mr. Lazarus and Other Stories. "An absorbing, fast-paced read and an excellent choice for middle schoolers." "A tech-infused wild ride, with some suspenseful moments and brilliant twists—an ideal book for reluctant readers, young science fans and really anyone who wishes their best friend were a robot." 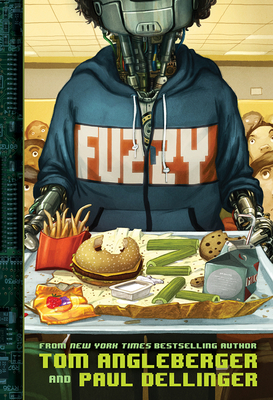 "Coauthors Tom Angleberger and Paul Dellinger weave computer concepts into the action, using snippets of programming code to show Fuzzy's perspective. ...The use of code as a storytelling device is funny, and cleverly illustrates the way a young mind processes the overwhelming input of a typical day in middle school." "Angleberger and Dellinger hit the perfect mix of funny and contemplative, speculative and realistic."